You can see the entire list on NBC News's website. 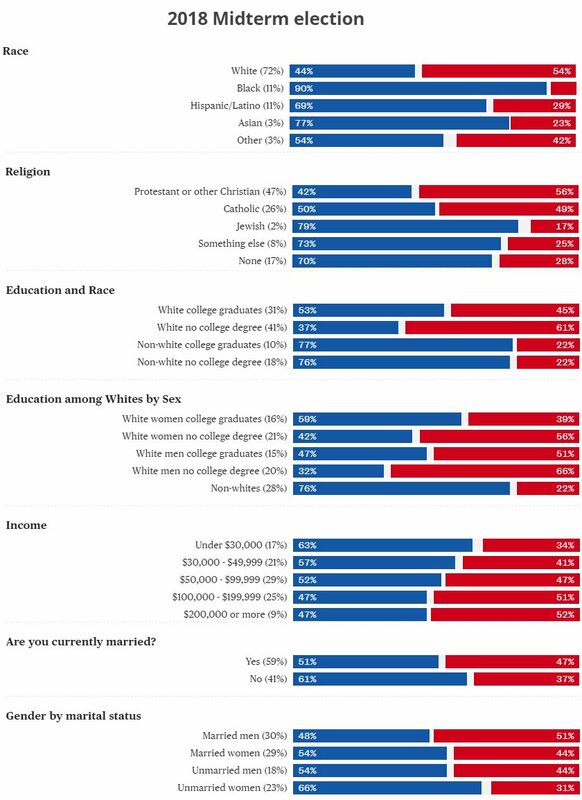 Exit polls should be taken with a grain of salt. 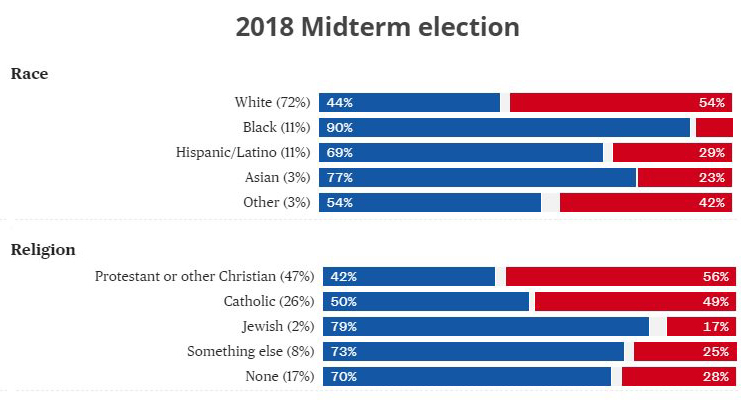 It sure is interesting how the first group, which the media and liberal unintelligentsia near-uniformly insist are all "racist tribalists," had the least tribal voting patterns.